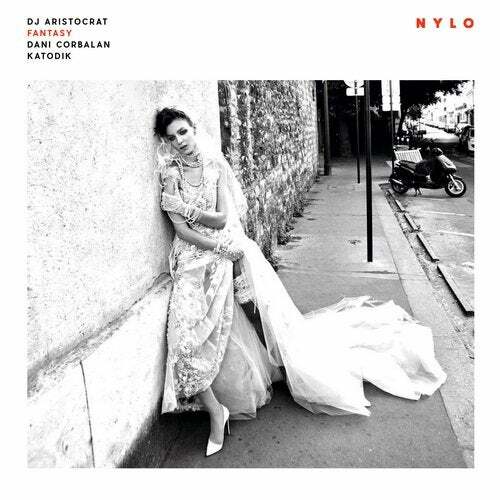 For our 50th NYLO release we welcome none other than DJ Aristocrat & Dave Baron with their highly anticipated new single 'Fantasy' featuring an array of fantastic talent in the form of Dani Corbalan and Katodik who bring us their stunning interpretations of this beautiful classic in the making. Aristocrat & Dave are regulars in many top artist playlists, constantly showcasing their huge originality and versatility without ever disappointing. The enigmatic duo has been regulars in many top artist playlists, constantly showcasing his huge originality and versatility without ever disappointing. Their affair with sound "through heart, hands and computer tools" has led to a raft of successful releases and remixes, and this is no exception. Part deep house, part driving four to the floor house; 'Fantasy' is ode to house music that creates a mood that's perfect for any dance-floor. Fantasy incorporates stunning melodic elements, brilliant effects paired with Dave's wonderful vocals, resulting in a distinct and emotional feel, destined to leave you wanting more and further cementing the duo's already great status as shining stars of the scene. Spanish maestro Dani Corbalan is up first on remix duty, his interpretation of 'Fantasy' effortlessly intertwines classic piano chords to create a funky groove that is sprinkled with hypnotic synth stabs and a mesmerising sounds, making this a instant club smash. The playful cadence from the original comes through nicely here and there are a bevy of subtle hooks to get sucked into. Last but not least we have the Katodik remix which focuses on the melodic side, by cleverly chopping the beats for the opening part of the track to create a moody and emotional vibe, which in combination with some smooth drums half way thru establishes so much positive energy that it takes you right to any happening beach house club at sunset in the world, emphasising the vast musical spectrum this release has on offer. 'Fantasy' is a beautiful piece of work from DJ Aristocrat & Dave Baron that should not be missed. 'Fantasy' sees the light of day on July 10th, 2017 via every major digital content provider.